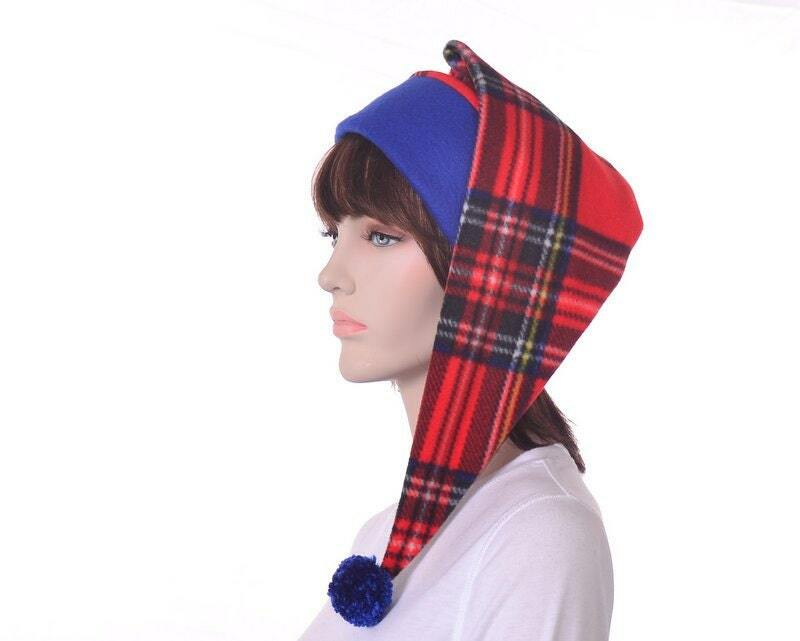 Size Standard 22"-24" Jumbo 24-25.5"
Long stocking cap made of a red tartan print fleece. 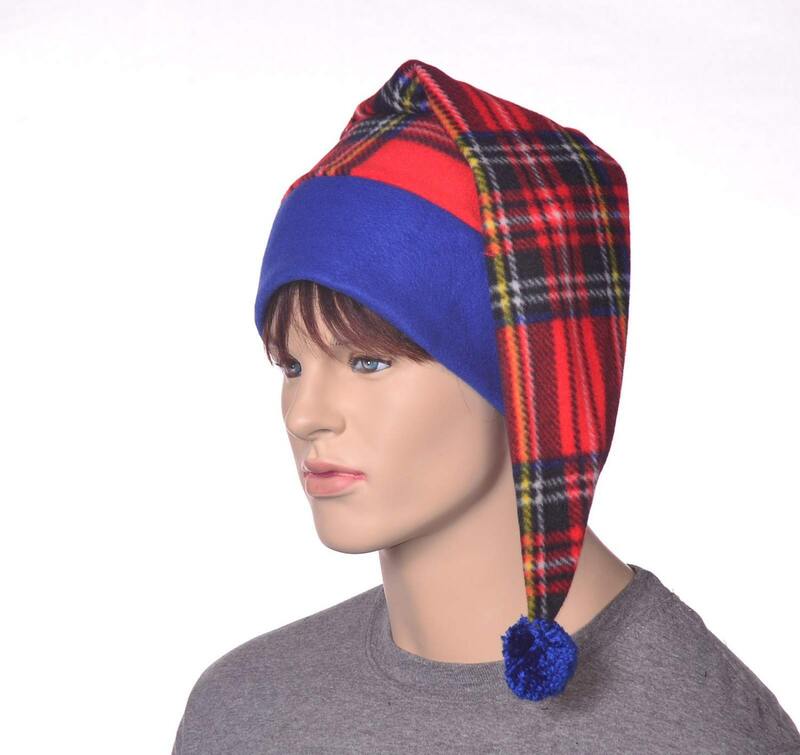 This plaid hat has stripes in blue, black, yellow and white with a bright red background. 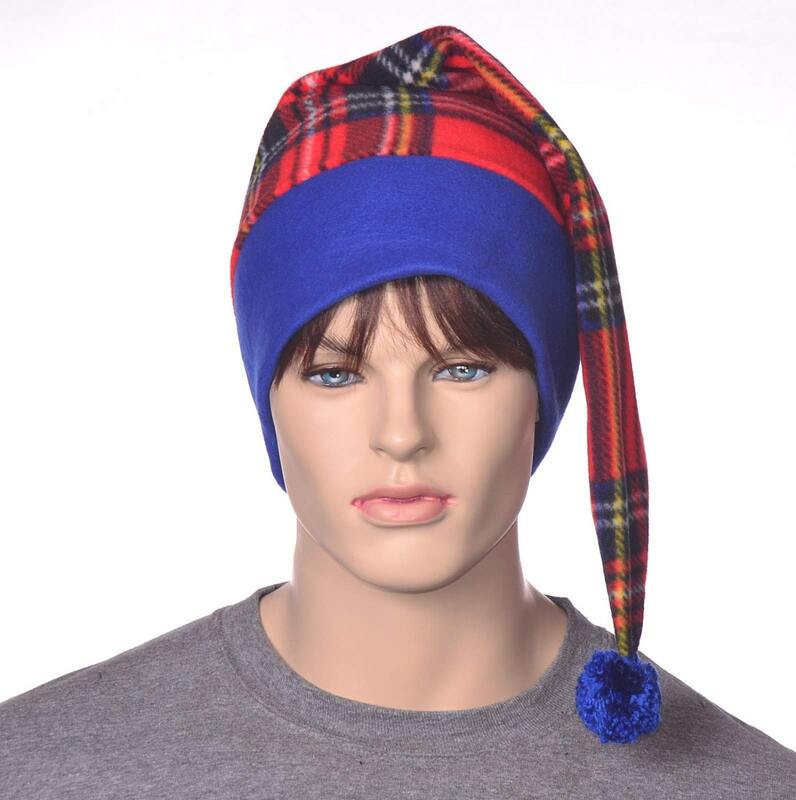 Blue double thick headband. Measures about 2 feet long with a blue pompom on tip of point. Falls just below shoulder length.